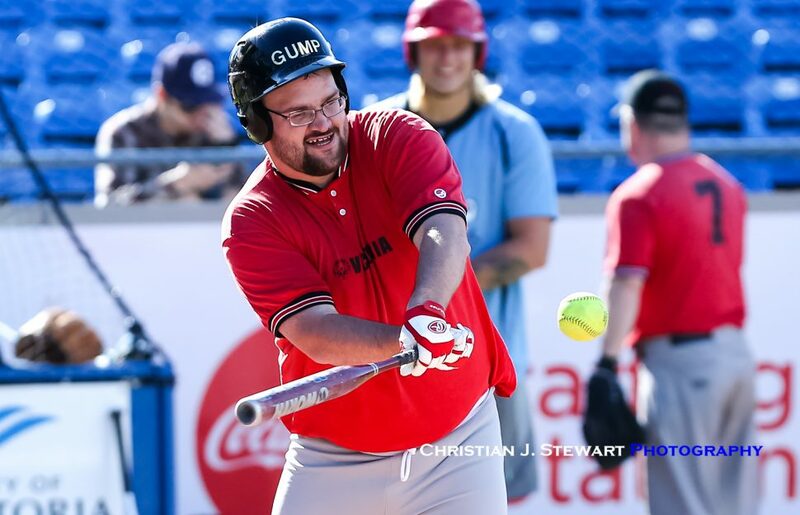 June 9, 2018, Victoria, BC – The pure joy and enthusiasm of the BC Provincial Champion Special Olympic softball team, who played a pre-game exhibition match on the Wilson’s Group Stadium turf, plus the presence of Blue Jay great Kelly Gruber in the house, sparked the Victoria HarbourCats to a 4-1 win over the visiting Coquitlam Angels Saturday night in front of a crowd of approximately 1,666 who braved the cool June air. 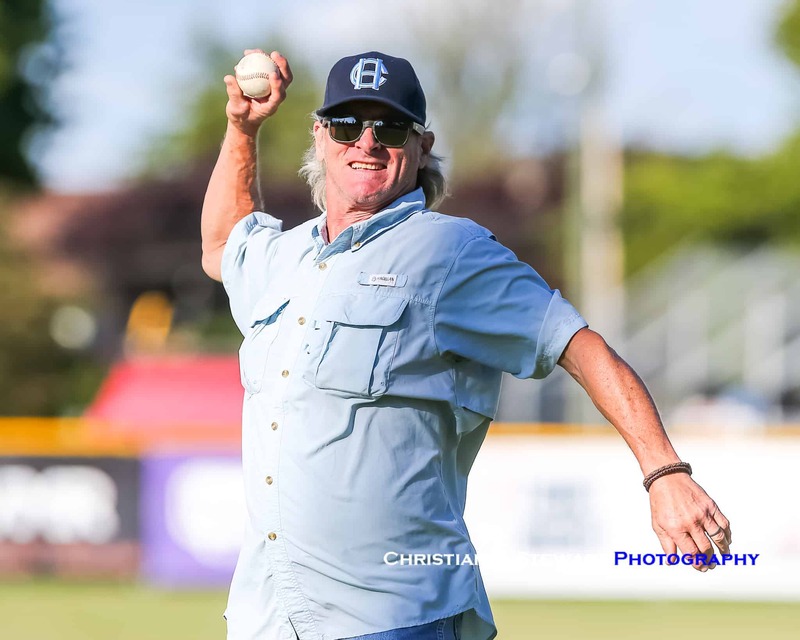 Saturday’s pre-game, sponsored by Peninsula Co-op, gave the Special Olympians the royal treatment with their names announced on the PA system, their pictures on the video scoreboard and the excitement of playing on the field at Wilson’s Group Stadium. 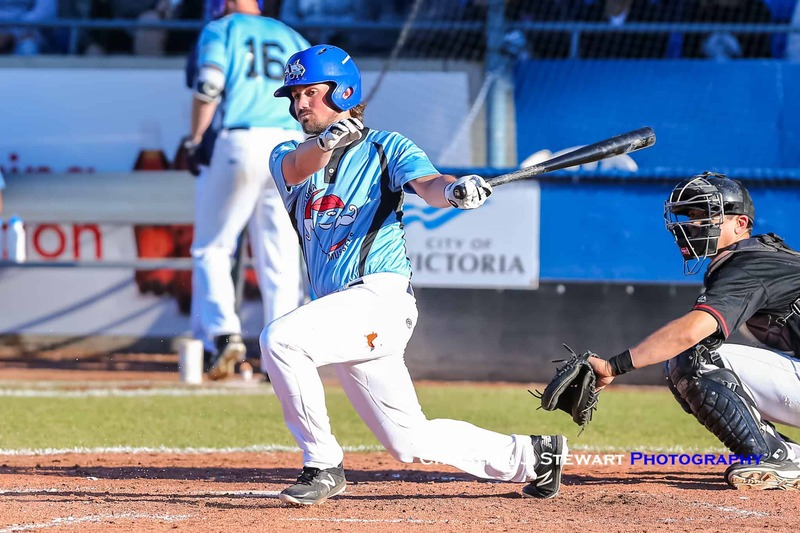 In the real game, the visiting Angels, the BC Provincial Men’s Champions, looked like they were going to run roughshod over the HarbourCats, as they touched up ‘Cats starter Clark Streby for three hits and a run in the first. However Streby would settle in after that, giving up just two more hits over his four complete innings. 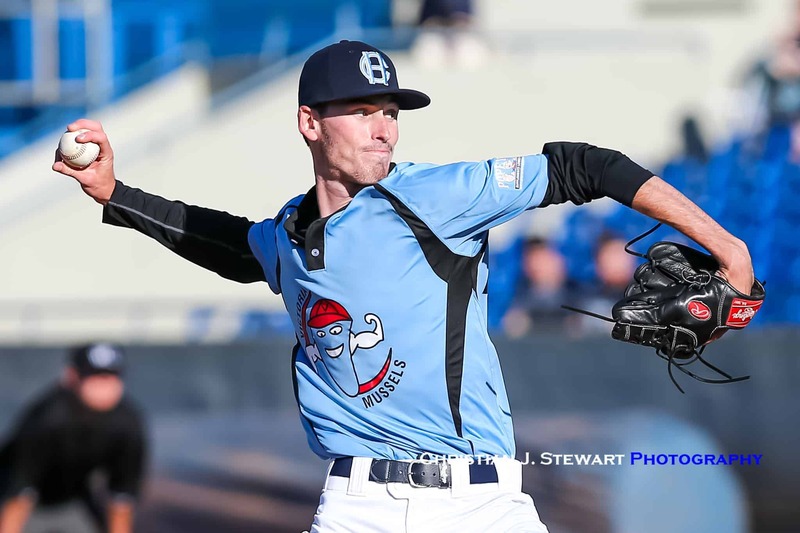 He would then get help from four other HarbourCats pitchers who held the Angels to just one hit over the remaining five innings, allowing the HarbourCats to find their way back into the game. That way did not come easy, as Coquitlam lefty Sean Callegari looked solid early, holding Victoria off the board over the first two innings, but then got himself into trouble in the third, giving up back to back singles to Tanner Haney and Ethan Fox to begin the inning, with Haney then coming in to score later on a wild pitch to tie the scoere 1-1. The ‘Cats extended their lead in the fifth when Dustin Miller was hit by a pitch and then came in to score on a fielder’s choice from Trey Bigford. In the sixth, a hit and a pair of Angels errors helped the Cats score two more and extend their lead to 4-1 and that would be all they needed to close out the win. 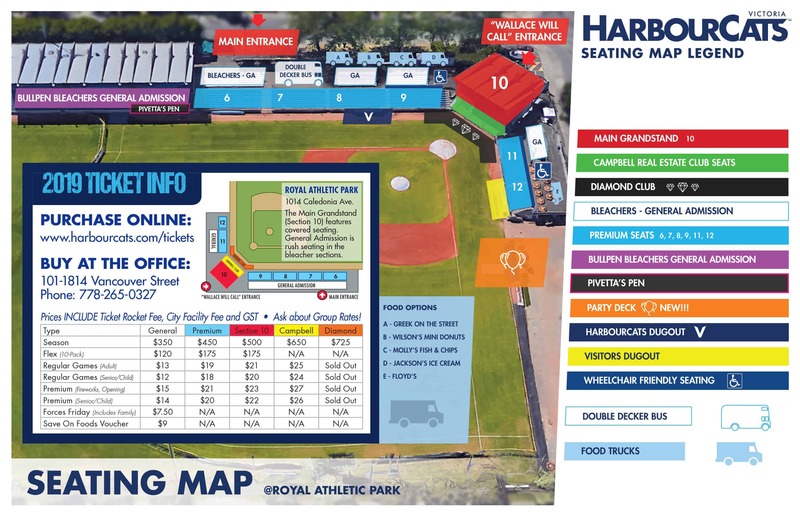 The Angels and HarbourCats will play game two of their series on Sunday on Claire Eccles Bobblehead day. A big crowd is expected and 800 lucky fans first into the park will receive a very cool collector’s item. First pitch is scheduled for 1:05 PM.